What’s the point of having a beard if it is dry, itchy, brittle or irritating? A beard is something that should be enjoyed, & there is nothing more enjoyable than stroking a soft luscious beard that smells amazing. Our complex formulation of botanical oils will impregnate & coat your hair to seal in moisture & make it soft like a feather. Not only will this keep it feeling good, it will also be itch-free, tangle free & easier to style. 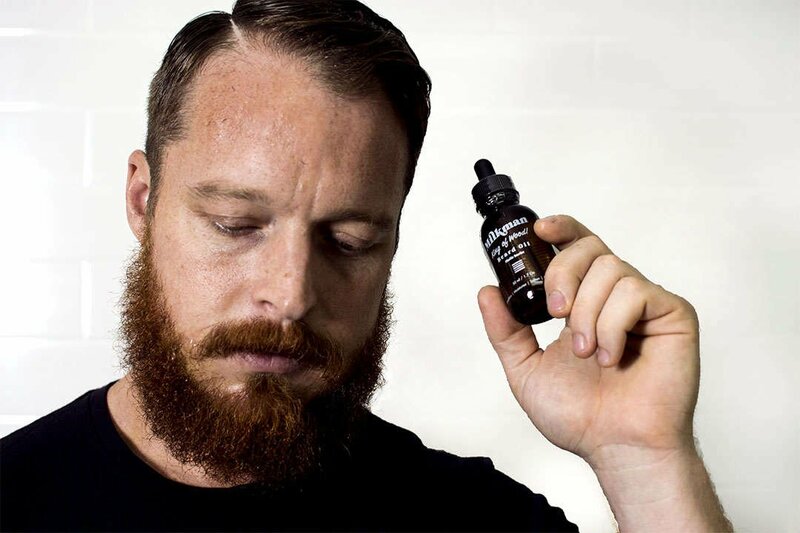 We offer a range of fragrances from the deeply masculine King of Wood™, the citrus & spiced Citrus Supernova™ & the sweet & spicy Chai Latte™, along with a range of limited edition fragrances released through the year so you'll always have a beard that gets compliments. To condition your facial hair and leave it with an alluring scent, use the dropper to dispense a small amount of the oil into your hand and comb through with a beard comb. Add more as required, a little goes a long way. This product should be used daily, ideally after a shower to help seal in the hair's hydration. Generally stubble & short beards will need only a few drops. 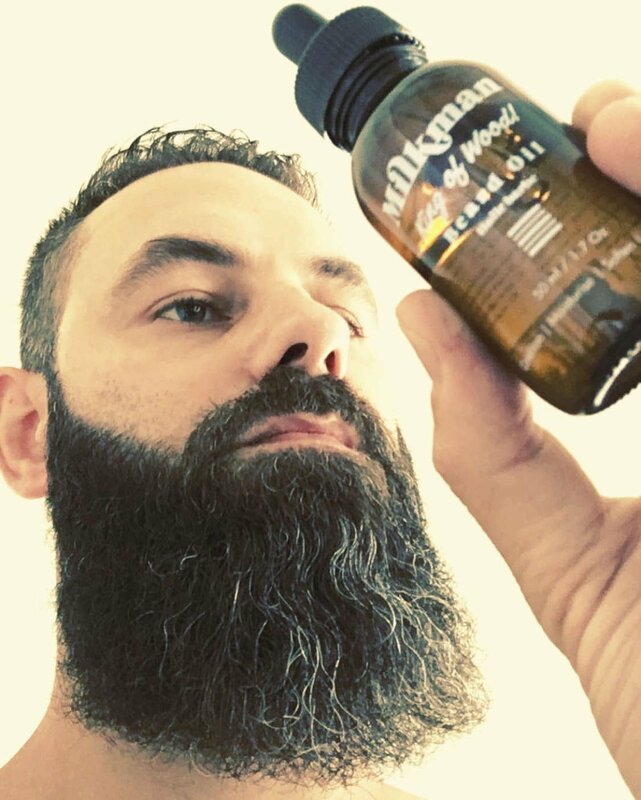 Medium beards may require between 6-12 drops & large beards may absorb at least a full dose from the dropper. Vitis Vinifera (Grape) Seed Oil, Cathamus Tinctorius (Safflower) Seed Oil, Cocos Nucifera (Coconut) Oil, Simmondsia Chinesis (Jojoba) Seed Oil, Persea Gratissima (Avocado) Oil, Argania Spinosa Kernel (Argan) Oil, Cannabis Sativa (Hemp) Seed Oil, Camellia Sinensis Leaf (Cammelia) Oil, D-alpha-Tocopherol (Vitamin E), Glycine Soja Oil & a variety of essential & fragrant oils. You found the Easter Egg for our 2019 Easter sale. Just enter the code EASTER30 in the coupon code section at checkout. Copyright © 2019 Milkman Grooming Co .